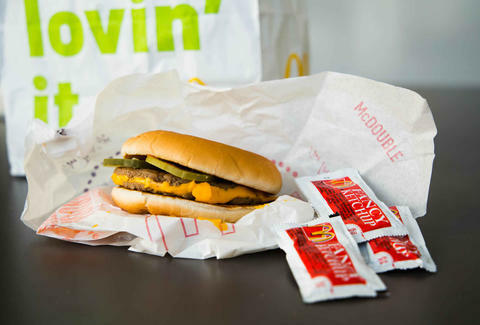 McDonald's wants you back, and it knows just what you're into: hot buns and patties. Speaking at the Bernstein's Strategic Decisions Conference in New York on Wednesday morning, CEO Steve Easterbrook announced two fairly fundamental changes coming to McDonald's burgers, Buzzfeed reports. Easterbrook said the company is "recommitting to hotter, tastier food," and will be toasting buns five seconds longer (making them 15 degrees warmer) and bringing the heat to its patties with additional searing and grilling in the hope of making "juicier" burgers. A tastier burger isn't the company's first maneuver to regain customer love in the face of dwindling business -- it's also also tested out things like custom burger kiosks to land back in your good graces -- but this move seems likely to be the most fruitful. What we're saying is, yes, McDonald's, we're feeling this heat and we like it. Lucy Meilus is a staff writer for Thrillist and thinks McDonald's should make a "Hot Buns" workout tape where you just do squats while eating burgers. Follow her on Twitter at @Lucymeilus for other great brand ideas, and send news tips to news@thrillist.com.